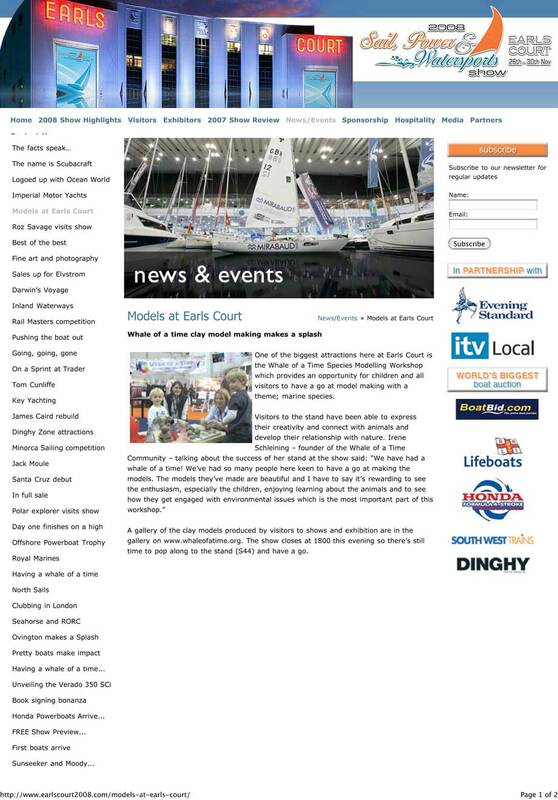 The Whale of a Time Workshop will take place in the Kids Zone. To find Brockwell Park please click here to view Google Map. The Whale of a Time Workshop is fun and it's free! 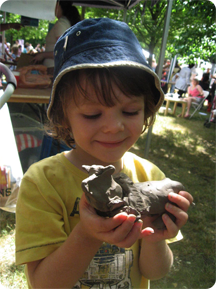 Come and have a go and make your favourite animal or plant species in clay. Whale of a Time is being held as part of The Urban Green Fair, an independent green fair for London powered by solar and wind energy, taking place on 5th September 2010. This Whale of a Time Workshop is sponsored by the Lambeth Psychological Therapies Service, a part of the national IAPT programme run by the NHS. 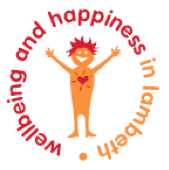 The aim is to increase people’s awareness of ways to help wellbeing. We do this by engaging young and old in environmental issues through modelling endangered species in clay. Read NHS news release. The Whale of a Time Workshop is based on modelling techniques where you can learn how to use sculpting tools and explore your creativity through experimentation. We work from wildlife photographs and you can create your unique art pieces whilst learning about endangered species around the planet. Clay-sculpting is therapeutic and helps to release stress and tension while connecting with nature. The Whale of a Time Workshop supports this journey of transformation and brings healing and wellbeing to both the participants and the planet. NHS Lambeth has just commissioned us to do action research on the health benefit of our workshop. Read more about the Whale of a Time Workshop. All your models are displayed during the festival at the Whale of a Time Gallery and after the festival is finished you can take your models home or get them fired and glazed. View photos of previous workshops online at the Whale of a Time Gallery. Empower, educate and enthuse people regarding current environmental issues, by effective and positive communication. Present environmentally-focussed products, businesses, practises and information. Engage with diverse local communities, before, during and after the event. Provide a uniquely family-friendly learning environment, not diluted by alcohol or loud music.